Amphibians are known to live dual lives, as they spend their half-life in water and remaining half on land, these also have porous skin which requires moisture. While Reptiles are the group of animals that live on land, breathe through lungs and lay eggs, they have scales on their body and function to retain moisture. So the essential difference lies in their life cycle and physical appearances. Despite this, these animals shared many similarities, and this is the reason that in earlier times, there was no different zoological classification between them. 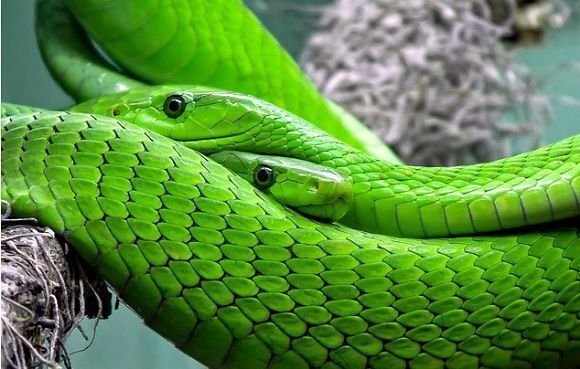 These identical features are that amphibians and reptiles belong to same phylum and subphylum, these are ectothermic (cold-blooded), uses camouflage for protection and are omnivores. Later on, it was found that reptiles transitioned from amphibians million years ago, which was due to change in the environment and other evolutionary processes. Amphibians are also said to be the link between the fish and the terrestrial reptiles, the first animals who migrate from sea to land. Seymouria is the organism known for the link, as it has skull properties like amphibians and skeleton of reptiles. Herpetology is the branch of zoology that deals with the study of the reptiles and amphibians. While ‘Herpers‘ is the name given to the person who keeps these animals. With this, we will be considering the essential points to differentiate between Amphibians and Reptiles. Amphibians are ectothermic or cold-blooded animals, living on land or in water. They use gills as well as lungs for breathing, in water and on land respectively. Reptiles are also one of the ectothermic or cold-blooded animals, which live on land. They can be oviparous or viviparous and have four legs. These animals live in the aquatic environment as well as on land. Their larval stage is spent in water and adulthood on land. Reptiles live on land (terrestrial animal), but some of them like alligators, turtles and crocodile can live in water also. They are oviparous, in which embryos develop inside the mother's womb in the egg and are hatched outside the mother's body. Some animals are oviparous, while some are viviparous(embryos get develop inside the mother's womb). Amphibians can breathe in both ways, which can be through gills or from the lungs. Reptiles breathe only through lungs. They have the restriction of visualising certain colours, which means they have the restriction to narrow bands of the colour spectrum. Reptiles have a wide range of colour spectrum and can visualize and distinguish different colours. Reptiles also have a three-chambered heart, but their ventricle is further divided through a septum. Amphibians secrets toxins from their skin, which protect them from predators. Reptiles have hard scales and protection all over their skin; they also produce toxins from teeth and nails. Smooth, sticky, moist and highly porous skin to perform the various function. They have dry, hard and scaly skin, which protects them. Amphibians lay their eggs in water which are covered with gel. Reptiles lay their eggs on land and have a hard protective covering. They have webbed feet, which help them in swimming and jumping. These have four limbs, helping them in running and swimming, while snakes do not have limbs and they crawl. As said above Amphibians spend dual life, as their larval stage is in water and adulthood on land. These are the type of vertebrates, found in marine water, freshwater, land, tonsorial, etc. These are cold-blooded animals, known as ectotherm (where the body temperature is maintained, according to the change in the temperature of the atmosphere and gain the warm from the sun). The fertilization of the Amphibian is external, where the male sperm and female eggs are fused in the water, and the production of an egg is in the water, the newly born organisms survive in water until their larval stage. The remaining life is then spent on land, and the eggs have the covering of a smooth gel-like substance. The life-cycle of the Amphibians undergoes the process called metamorphosis, where the body develops into an adult. Amphibians use gills while breathing in water, but they also have lungs to breathe on land. The skin is porous, sticky and slippery. They use camouflage, which means they can alter the skin colour according to the change in the environment. Though they do not have sharp teeth and nails like other animals but secrete toxic, which is highly poisonous for killing the insects and also for protecting themselves. Amphibians have webbed feet and short limbs, which help them in jumping and swimming. Reptiles are also ectothermic, vertebrates. They are land-living creatures. The main point to notice is that Reptiles do not undergo the metamorphosis. As they lay their eggs on land and have only lungs to breathe. Alligators, snakes, lizards, turtles are some of the examples. Another important feature is the skin of these creatures, which is scaly and hard known as keratinous skin. This type of skin is not permeable to water and in mammals, Keratins in found in fingernails and hairs. This help crocodiles and sea snakes to live in the saline environment. There are around 9000 species of the Reptiles found till yet. Another vital point to know about reptiles is that the way they incubate their eggs. As this is done by digging into gravel, sand or dirt and this is done to maintain the temperature of the eggs. Amphibians and Reptiles are ectothermic or cold-blooded animals, but amphibians spend half of their life on land and half in water, while reptiles live on land. Amphibians spend their larval stage is spent in water and adulthood on land while reptiles live on land (terrestrial animal) but some of them like alligators, turtles and crocodile can live in water also. Examples of amphibians are Toads, Frogs, Salamanders, etc., whereas Snake, Lizards, Crocodile, etc. are examples of reptiles. 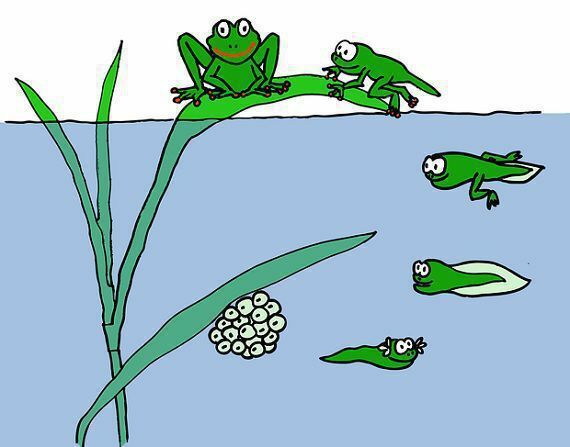 Amphibians show external fertilization; they are oviparous where embryos develop inside the mother’s womb in the egg and are hatched outside the mother’s body. In case of Reptiles, some animals are oviparous, while some are viviparous (embryos get develop inside the mother’s womb). Even some show external and some show internal fertilization. As amphibians live on land and in water, they can also breathe in both ways, which can be through gills or from the lungs, while Reptiles breathe only through lungs. Amphibians have the limitation of visualising certain up to narrow bands of the colour spectrum, on the other hand, reptiles have a wide range of colour spectrum and can visualize and distinguish different colours. Both the group of animals have a three-chambered heart, but in case of reptiles, the ventricle is further divided through a septum. Amphibians secrets toxins from their skin, which protect them from predators and other environmental conditions; Reptiles have hard scales and protection all over their skin; they also produce toxins from teeth and nails. Amphibians have smooth, sticky, moist and highly porous skin to perform the various function, whereas reptiles have dry, hard and scaly skin, which guard them in harsh condition. Amphibians lay their eggs in water which are covered with gel, while reptiles lay their eggs on land, and have a hard protective shell. Amphibians use webbed feet, which help them in swimming and jumping, on the contrary reptiles have four limbs, helping them in running and swimming, exception likes snakes do not have limbs, and they crawl. Firstly both belong to the same phylum that is Chordata and the subphylum Vertebrata. They are Ectothermic, which means they regulate their body temperature depending on external sources. Commonly known as cold-blooded. They use skin alteration in camouflage for the protection and thermoregulation for maintaining the body temperature. The body of these animals has an opening called a cloaca, which serves as the common opening for the intestinal, genital and urinary outlet. In the above article, we explored the two categories, whose names get interchanged. We also studied the distinguishable features and was able to gain more information about them.